The soft drink industry spans sparkling drinks, concentrates, juices, bottled water, smoothies, ready-to-drink tea and coffee, and functional drinks. 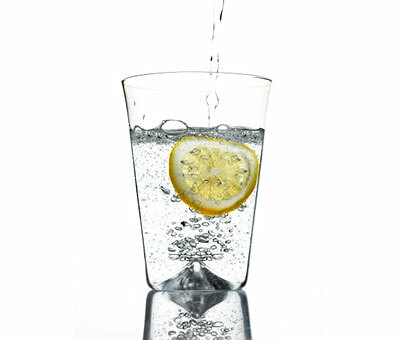 Soft drinks do not usually contain alcohol, though can have up to 0.5% alcohol content. They are generally made on a still or carbonated water base with added flavors and sweeteners, and sometimes fruit juices or caffeine. Packaging is key, with more than 1,500 patents filed in the US in the early stages of the soft drink industry for bottle closures such as lids, caps, and corks. The industry is reliant on the production of quality bottles and drinking packs to keep products fresh. Popular soft drinks on the market include cola, root beer, ginger ale and sparkling lemonade. Cola leads the carbonated/sparkling drinks market with a 42% stake. Americas represent over 54% of the world market. Coca-Cola is the market’s top company, accounting for over 42% of the overall market. Carbonates represent 40% of the global soft drink industry. Other large companies on the market include Red Bull, Dr. Pepper Snapple, and PepsiCo. The global functional drinks market, which encompasses sports drinks, energy drinks, and nutraceutical drinks, is expected to exceed $62,000 million in 2015, according to MarketLine. This will represent a near 30% increase in five years, bringing market volume to over 16,135 million liters. Energy drinks lead the market segment with a near 58% stake. Americas represent more than 38% of the global functional drinks market. PepsiCo is the number one company in this category generating more than 24% of overall market volume. Sports drinks comprise a well-established market with steady consumption, whereas energy drinks promise great potential and are a rapidly growing market. Energy drinks are becoming increasingly popular as consumers show greater awareness and assume more responsibility for health-related issues. In the global market for bottled water, unflavored water represents 65% of the bottled water market. The EU holds more than half of the overall market, which is lead by Danone with a 14% stake in terms of volume. Market drivers include greater health awareness, higher consumer spending, larger population and lifestyle trends. Marketing and product differentiation are key with companies focusing on product innovation, and packaging in terms of weight and brand image. The global juice market is led by 100% fruit juice with over 30% market share. Market drivers include rising awareness surrounding health and nutrition. The three main players in the global soft drink market are Coca-Cola and PepsiCo. US-based Coca-Cola employs almost 140,000 people and sells over 3,500 products in more than 200 countries. Headquartered in New York, PepsiCo has 19 leading brands that bring in over $1 billion in yearly retail sales and two dozen other brands with yearly sales of between $250 million and $1 billion. The US carbonates market remains strong as juice and water markets decline. The industry continues to feel the effects of the global recession, as consumer confidence remains low. Moving forward, companies are likely to concentrate on product innovation to coax consumers back. Evolving lifestyle trends toward healthier options and widespread awareness of health epidemics such as obesity and diabetes may see categories like carbonated drinks stall slightly, but also represents a greater potential for other markets such as energy drinks and juices.